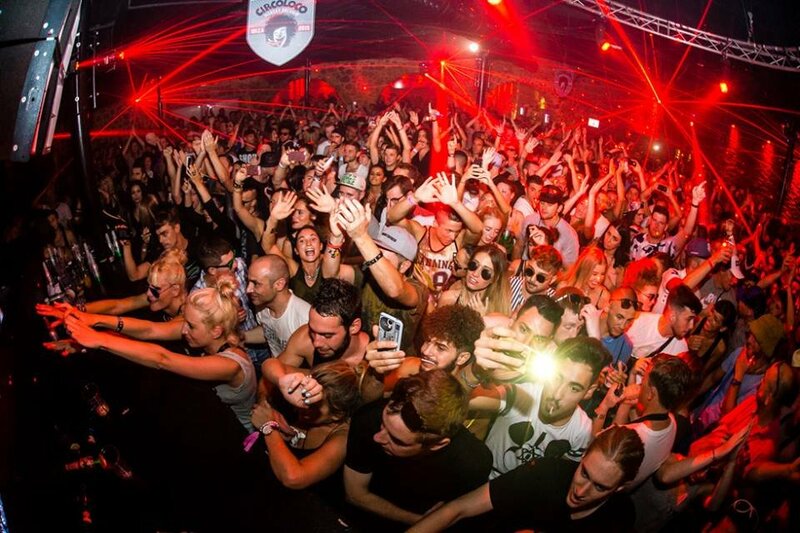 Help, I am an Ibiza clubbing virgin! First time clubbing on the island? 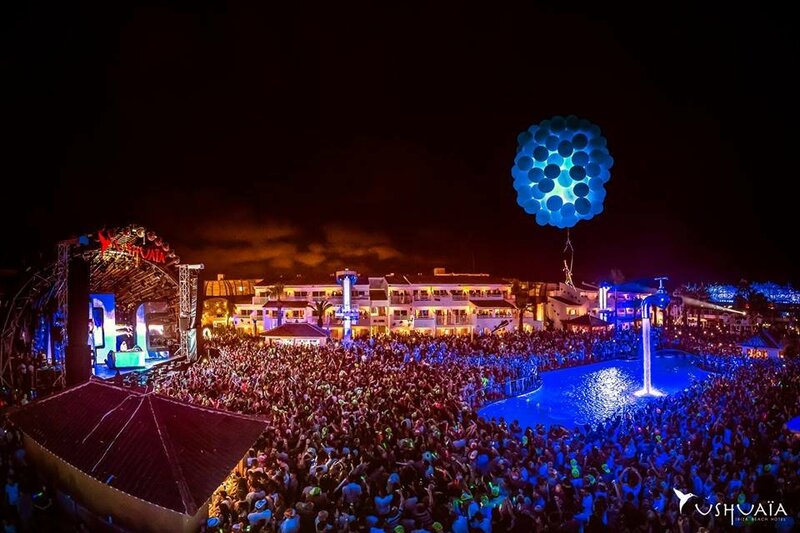 Here's all the info you need on Ibiza's nightlife scene, including clubs, parties, boat parties, tickets, bars, accommodation top tips. For such a tiny island, there's loads of stuff going on in Ibiza, and if you don't have someone to walk you through the basics, it can seem a bit overwhelming. 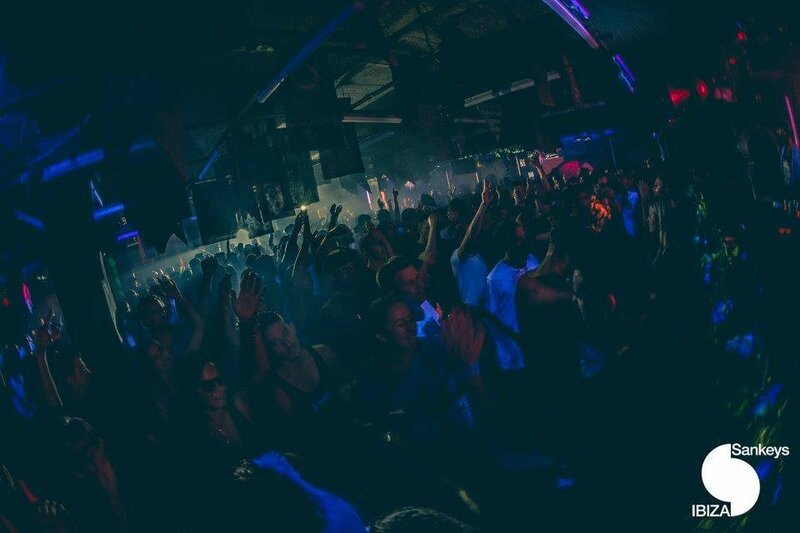 Here, we've put together some simple advice guides on the clubbing scene for those of you popping your Ibiza Cherry for the first time; the aim being to give you a bit of basic knowledge to help you get the most out of your holiday. In addition there are many smaller venues such as Santos, Veto, Lío, KM5, Swag, Cova Santa, Las Dalias, Bora Bora and many more. Boat parties (see below) are also becoming increasingly popular. Both the clubs themselves and external promoters from many different countries around the world are responsible for the club's daily parties, and this means the music played at each club varies from night to night and promoter to promoter. You can check out our party calendar for the most up to date information available with full DJ listings for every party. Also see Ibiza Parties for descriptions of each night. Sven Väth's party Cocoon promotes Wednesday nights at Pacha, booking mainly techno DJs (Sven Väth, Ricardo Villalobos, Nina Kraviz etc). The entire club is adorned in Cocoon-related décor, and the party is advertised across the whole island. However, on Saturdays, Pure Pacha takes over the club, so instead of techno you'll easy to digest and fun dance music, and the décor will be changed to fit the different feel of the night. 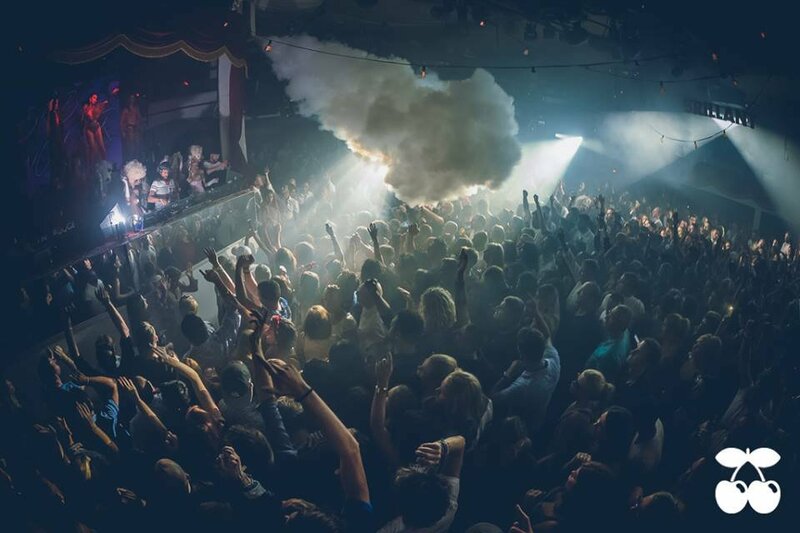 Just to confuse the issue, all the major clubs have a back room or alternative area that usually plays different music to the DJs in the main room, for example the Terrace in Amnesia or the Vista Club in Privilege. Over the past decade, boat parties have become an essential pillar of the Ibiza clubbing scene and no Ibiza holiday is complete without having experienced at least one party out at sea. The choice of boat parties is large nowadays and promoters offer party cruises for all tastes. These maritime adventures depart either from San Antonio, many including an unforgettable Ibiza sunset out at sea, or from Playa d'en Bossa. Many boat party promoters include a club night in their package (so you can head there after the cruise), which makes for an excellent and cost-effective day and night out. 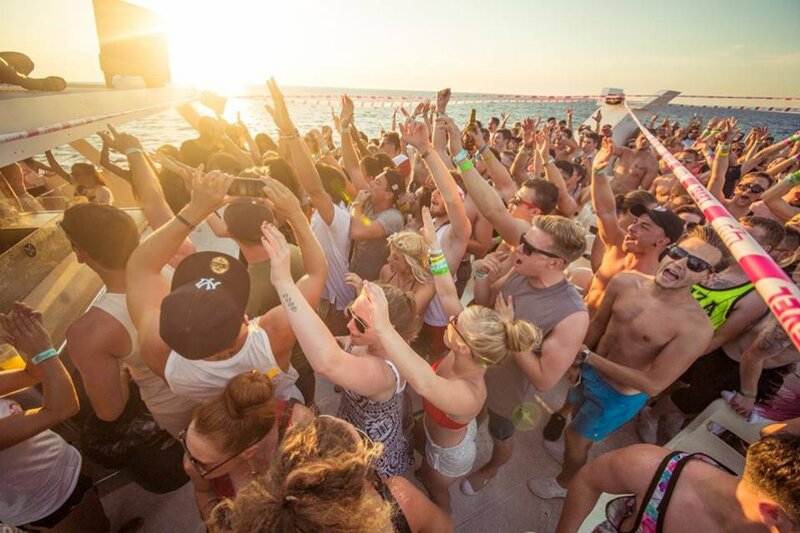 Check out our boat party guide for dates, details and tickets for the best Ibiza boat parties. You can get tickets for practically all club nights and boat parties on the island in our party calendar. Buying tickets beforehand ensures you get the best price and guaranteed entry. Also keep in mind there are a few parties on the island that sell out, so getting your tickets in advance is always the safest bet. Apart from that, once you're on holiday you don't have to bring as much money with you, nor waste precious time running after tickets. And fear not, should your plans change midway through your Ibiza trip, you can cancel the vast majority of our tickets up until 24hrs prior to the event and still get a full refund. See which parties we've got on sale here and make sure you check out our frequently asked questions. Another vital part of the Ibizan club scene are the many music bars in the resorts and dotted around the island. Here, you'll find clubbers warming up with a few drinks before hitting the clubs, or dancing to music in a more relaxed, less intense atmosphere. Most of these bars have free entry and cheaper drinks, but still have great local and guest DJs. See pre-club bars and resort guides to see which bars we recommend. Special mention must go to the sunset cafés along the Caló des Moro in San Antonio, famously known as the Sunset Strip. Here, you can watch the sun go down in a romantic setting and later dance to your favourite DJ. At Spotlight, we've plenty of experience of what you're looking for in your holiday accommodation, and to help you make the most informed choice, we've put together a list of the best places for clubbers to stay on Ibiza. All the hotels and self-catering apartments are clubber-friendly and range from budget to luxury. If you don't find what you're looking for remember to check out our full range of accommodation. If your mates are all too busy counting pennies and can't get their bums into gear, don't be afraid of heading to the White Isle on your own! You'll not only find a welcoming, warm embrace, you'll also certainly not be alone. Tons of people make the solo trip to the Med each and every summer, and they usually go home with a truckload of unforgettable memories as a result. We've given you heaps of advice on your first solo trip to the island here, and if you still don't believe us, head to our forums, where loads of our members will tell you the same. 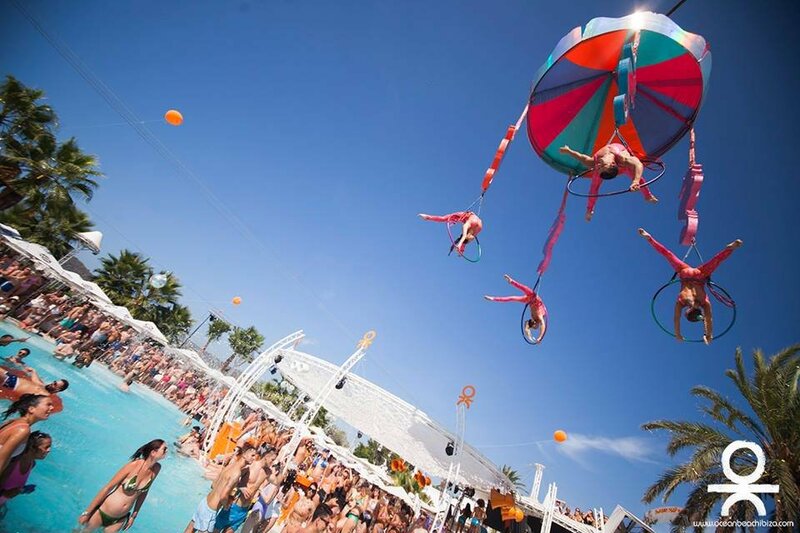 Don't leave home without reading our Ibiza Virgins' Guide feature series! Check out our club guides, where you can get a feel for the different clubs, to see which one you might like to visit. Bookmark our club news and reviews page, which is updated daily in the summer, and browse through our agenda-setting archives. Check out our tips and tricks page, which is a must-read before you come. It will save you time and money. Check out our clubbing forums - don't be afraid to ask any question you like - there are many regular visitors who will be happy to help. When you are here, don't be afraid to ask other clubbers what they recommend. It really is a very friendly atmosphere on the island. Go to Playa d'en Bossa, the Sunset Strip in San Antonio or the Port of Ibiza Town and make some new friends.